That’s the question on the minds of researchers at the University of California, Santa Cruz, who are leading a new multi-campus initiative to explore the intersection of agriculture, food, and technology. “The San Francisco Bay Area is the hub of this sector, where tech innovators, venture capitalists, and philanthropists are joining forces to address some of the biggest challenges of agriculture and food production,” said Guthman, a leading scholar of food movements who is known for her research on sustainable agriculture. 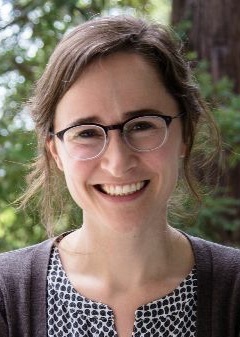 Guthman’s colleague Madeleine Fairbairn, an assistant professor of environmental studies at UC Santa Cruz, will focus on agricultural technologies, particularly those related to data gathering. Guthman will establish an inventory of the ideas that are being discussed, both in terms of food products and production, and the individual and institutional partnerships that are fueling—and funding—the agro-food tech movement. “This whole area is hot in terms of investment,” she noted. Guthman has attended several “meetups” where ambitious entrepreneurs float novel solutions. Some proposals appear to push the limits of credibility or public acceptance, such as insect-rich cookies or algae-based “shrimp” and other novel food products designed to meet the global demand for protein.